It’s the last week of January. How’s it going with your New Year’s resolutions? Some of the most popular ones are about getting in more exercise, but somehow the long, dark days weaken your resolve until goals of exercising float away in favor of (if you’re like me) cuddling under warm blankets in front of the TV. But there’s more to exercise than dropping pounds. 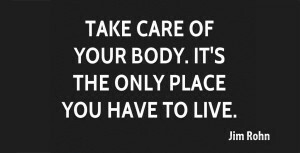 It’s a matter of taking care of your health. In the February issue of O magazine, cardiologist Tara Narula laid out some simple ideas for protecting our heart health. Many of them are on my ongoing to-do list, but seeing the unexpected benefits she outlined gave me more motivation to keep up good habits. The more we age, the more important it is to take care of our health. Last night, I watched “5 Flights Up” starring Morgan Freeman and Diane Keaton. The couple had been living in a Brooklyn walk-up for 40 years. Although I never heard anyone in the movie mention age (except that their dog was 10 years old), there were hints. Him being reminded to take his medication. Her commenting that they could use an apartment with an elevator. An angry outburst about not wanting to go to Florida and play shuffleboard. Earlier I listened to a man of a certain age describe how climbing the stairs every day to his apartment helped keep him fit. I don’t know about you, but the handwriting on the wall for me says that age is less about numbers and more about how well we care for our bodies. It’s never too late to take a step…or 30 minute’s worth. Here’s to your health!